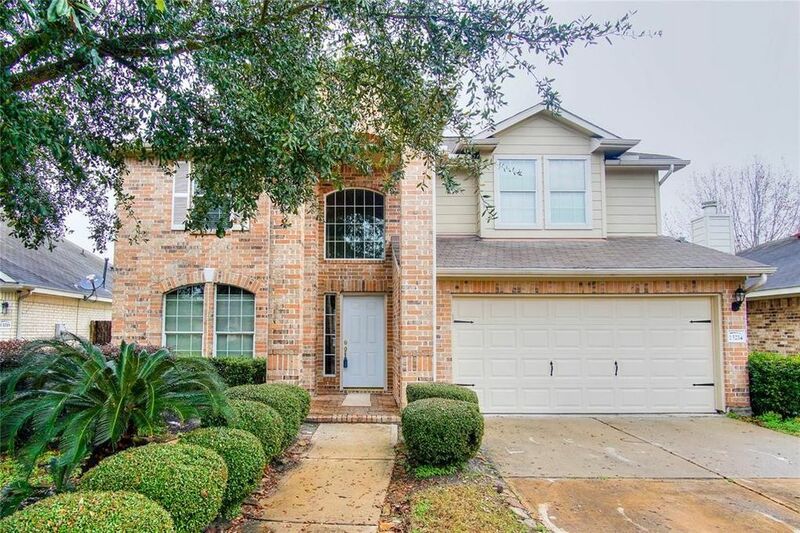 This beautiful 4 bed 2.5 bath home is a true must see! Upon entry you are greeted by a formal dining room with direct access to the kitchen, making it the perfect space for all your entertaining needs! After passing through the tiled front entryway you come to a large family room featuring a cozy tile fronted fireplace, a soaring 2-story ceiling & a wall of windows that shower the room in natural sunlight! Create your favorite recipes in the lovely kitchen equipped with tile flooring, laminate counters/backsplash, recessed lighting & cabinets that provide tons of storage space! In the evenings withdraw to the spacious master suite complete with a luxurious bathroom showcasing double sinks, tile floors, a walk-in closet, a garden soaking tub & a tiled walk-in shower! The 2nd floor houses a huge game room & all 3 secondary bedrooms! The home also has a large backyard with an open patio plenty of green space for your favorite outdoor activities! Don't miss out on this awesome opportunity! Directions: FROM I-45 NORTH EXIT SPEARS ROAD. GO WEST. RIGHT ON T.C. JESTER. RIGHT ON SILVERGLEN N. 1ST LEFT ON DOLLAN PARK. NEXT LEFT ON MERSMANN. HOME IS ON THE RIGHT.